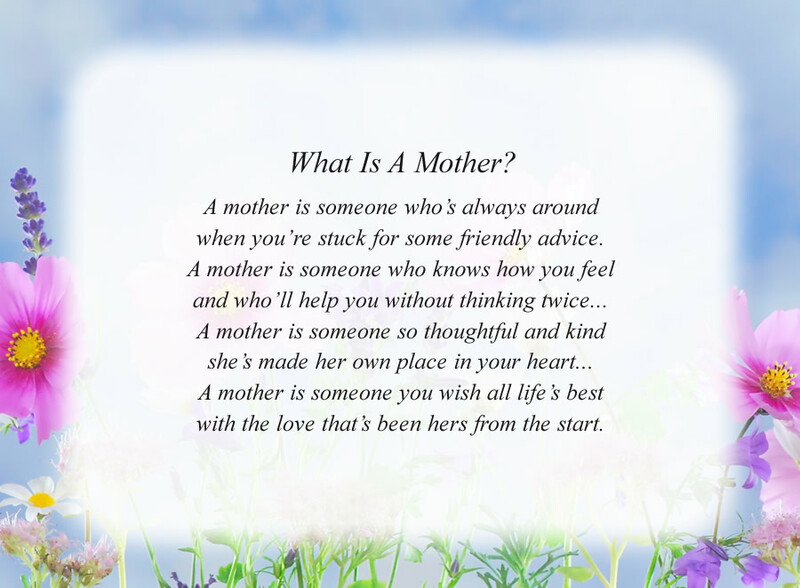 Free Mother Poem - What Is A Mother? when you're stuck for some friendly advice. with the love that's been hers from the start. The poem, What Is A Mother?, is free and printable by opening or downloading using one of the three links below.